West Air (Chongqing) has taken delivery of its first Airbus A320neo. The pictured A320-271N F-WWIB became B-8867 (msn 7795) when it was handed over on December 21, 2017. 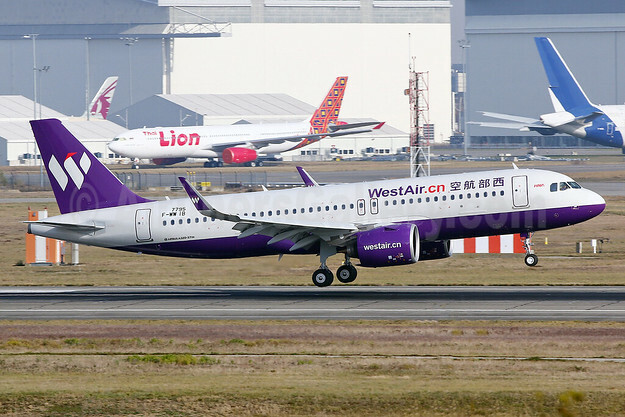 Copyright Photo: West Air (WestAir.cn) (China) Airbus A320-271N WL F-WWIB (B-8867) (msn 7795) TLS (Eurospot). Image: 940398. This entry was posted in West Air (China) and tagged Airbus A320-271N WL, B-8867, F-WWIB, msn 7795, TLS, West Air (China), West Air (WestAir.cn) (China) on December 28, 2017 by Bruce Drum.